National History Museum Mosaic…What restorations?!! 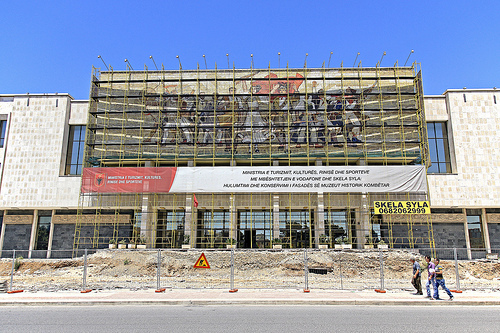 In July of 2010, during a press conference at the National History Museum, phase 1 of a project was implemented for the restoration of the 440 square meter mosaic “The Albanians” by artists Vilson Kilica, Josif Droboniku, Agim Nebiu, Anastas Kostandini dhe Aleksandër Filipi, on the facade of the museum. Deputy Minister of Culture, Zana Turku, who said “It is a wonderful occasion that after nearly 30 years to create the possibility to study all the damages”, was present with the executive director of Vodafone at press conference discussing the planning phase of restoring the mosaic. 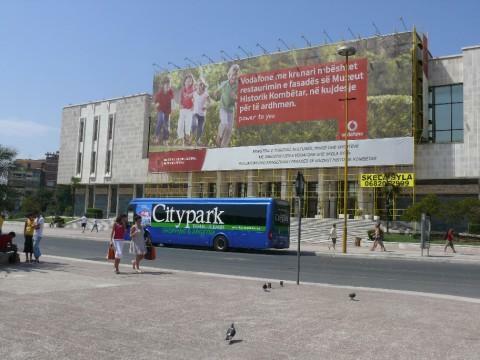 The project was made possible by the Ministry of Culture, Youth and Sports in collaboration with the Regional Directorate of Tirana and the Institute of Monuments as well as Vodafone Albania, who displayed a massive banner over the mosaic with their logo. 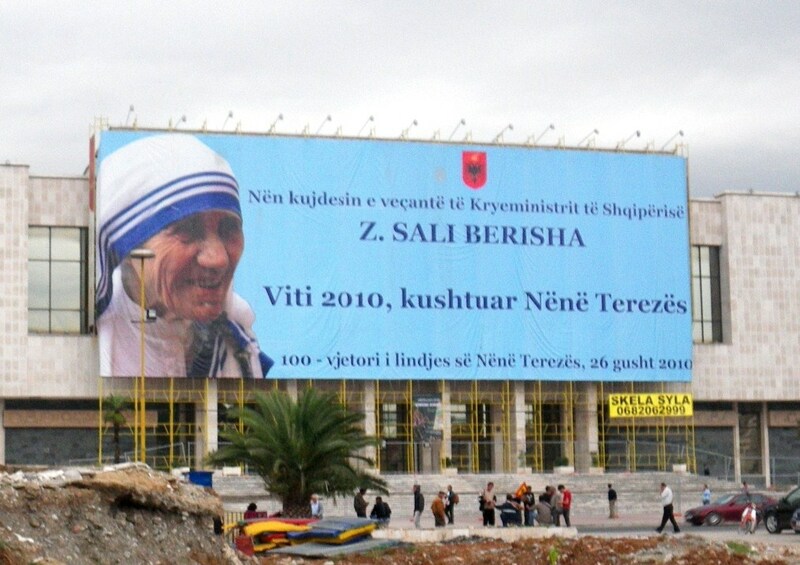 The banner has also displayed the image of Mother Teresa with the title of Prime Minister Sali Berisha prominently displayed in the centre. The big problem after all this, is that in September of 2012, nothing concrete has been done to the mosaic itself! The museum director Luan Malltezi attributes this to the fact that the mosaic lies under the jurisdiction of the Regional Directorate of Culture and the Institute of Cultural Monuments, not the museum itself. 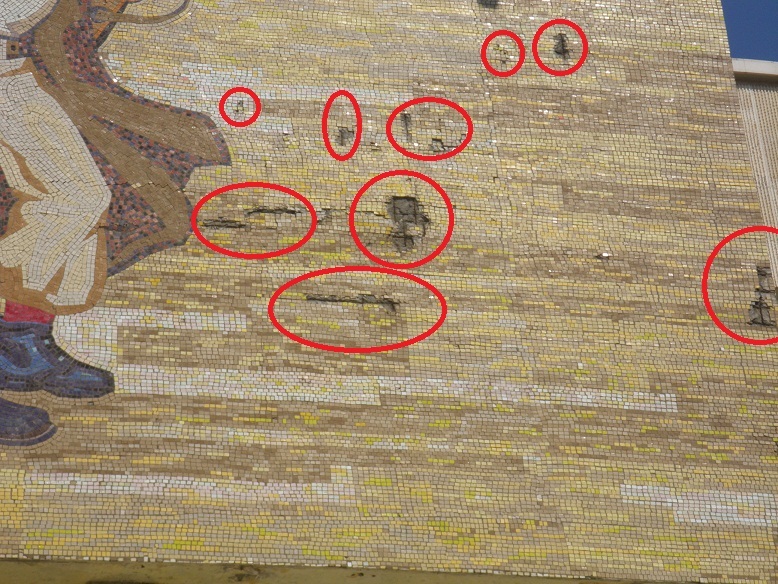 Will the mosaic ever be restored? Or will it eventually be destroyed all together, as has been proposed for several years, as it is a “communist” monument? We now have an answer to this question. 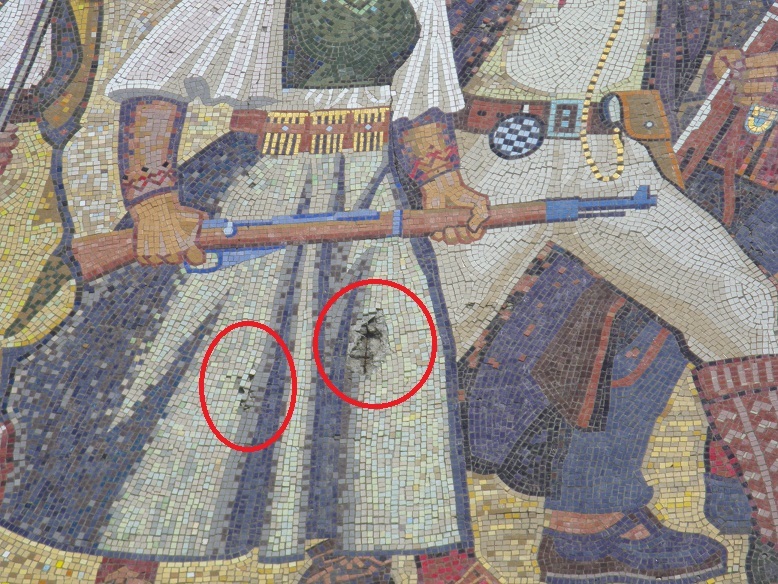 On January 24, 2013, it was reported (after several large pieces fell to the ground) that the mosaic can not be restored. The head of the regional agency for the protection of monuments in Tirana, Arber Kadia, says “We have made a diagnosis of the problems that cause the degradation of the mosaic and produced a plan to slow it down, because, according to experts, its fate is sealed”.